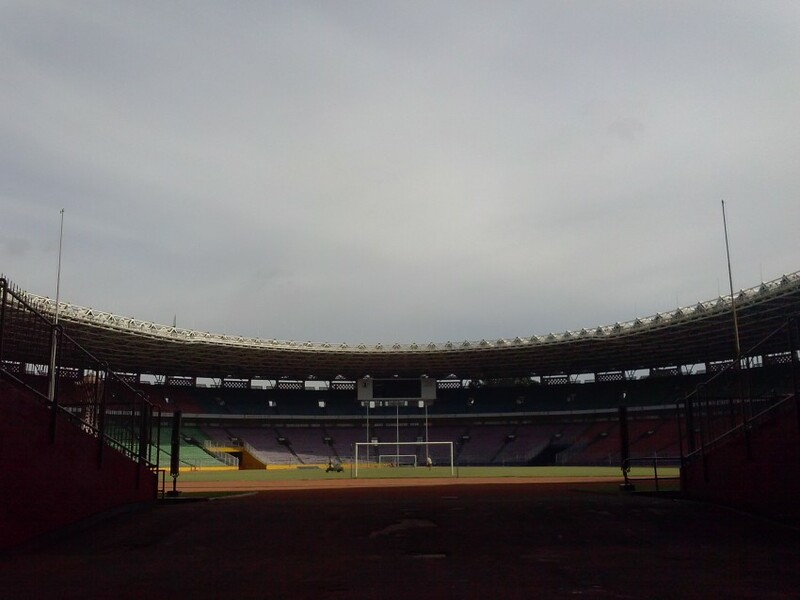 Gelora Bung Karno Stadium is one of the great Sukarno-era monuments of Jakarta. 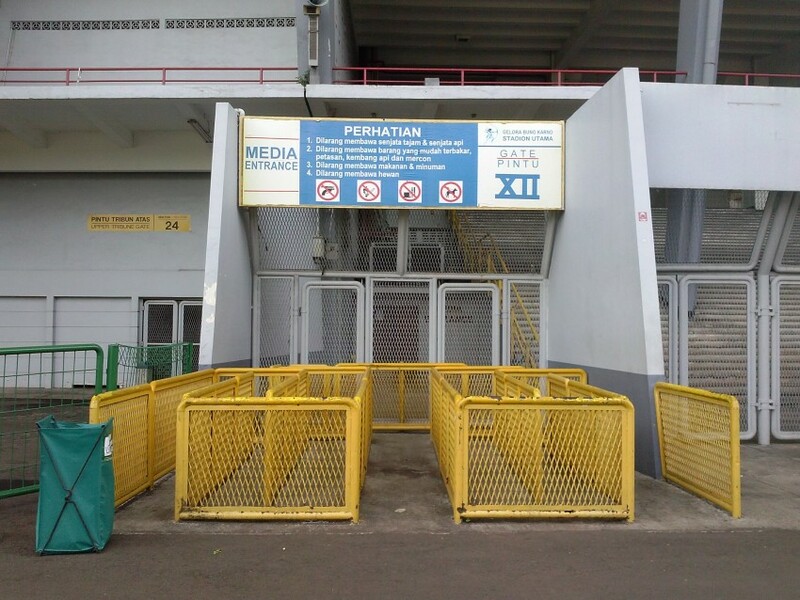 It is the home of Persija football club and also the offices of the PSSI – The Indonesian Football Federation. 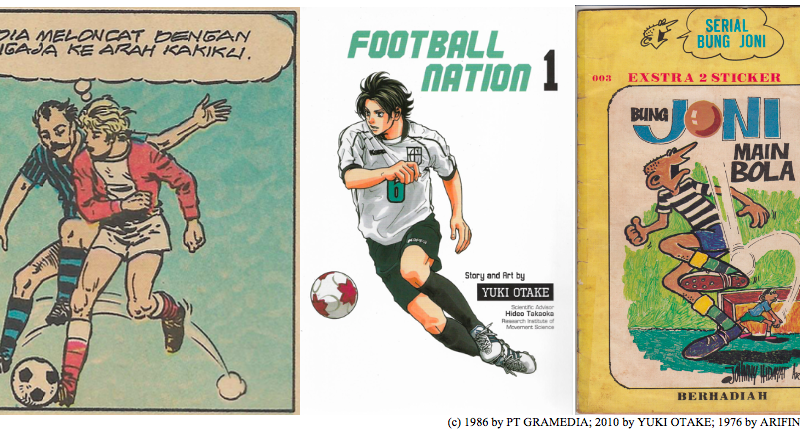 (Official page is here, Persija, and fans page, is here JakOnline). The venue is used for rock concerts – Deep Purple, Metallica and others have played there. Deep Purple played at the stadium to a reported crowd of 150,000 in 1975. (The band’s story of the tour is told here, a recording of the concert is here.) It is also used for the mass meetings of the Indonesian Democratic Party of Struggle (PDI-P), Nahdlatul Ulama and the Hizbut Thahrir. The national football team also plays its major games at this venue before crowds of around 100,000. 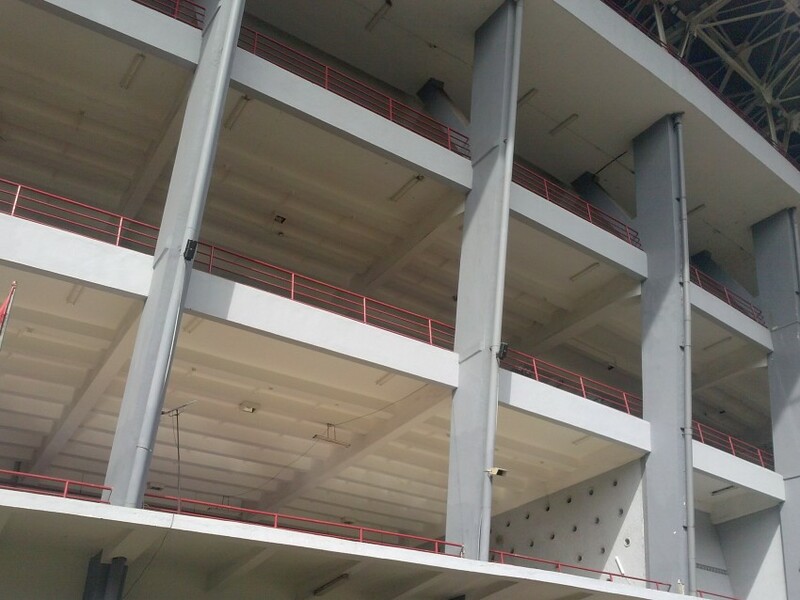 The stadium is the main feature of the Senayan sports complex which also features an Olympic swimming pool, numerous football pitches, baseball grounds (where softball is played), a boxing gym, table tennis tables. 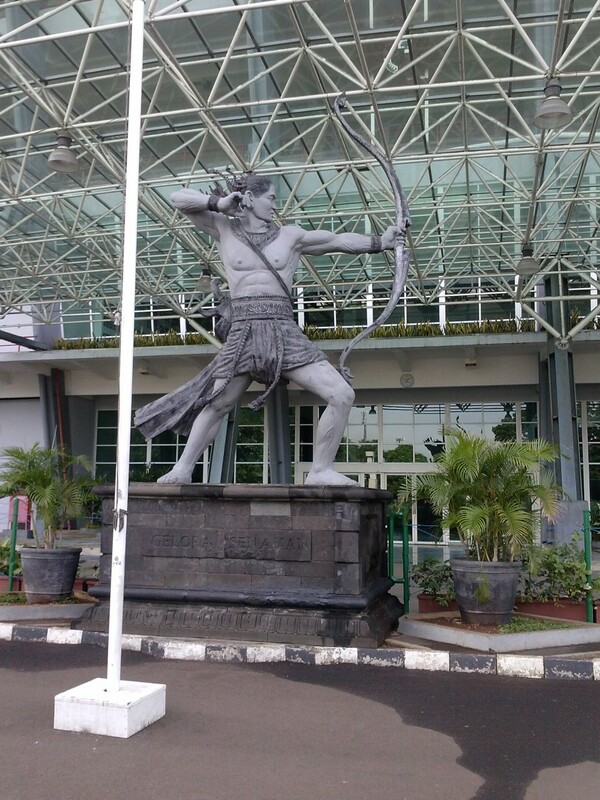 Near to the swimming pool is the Jakarta Convention Centre, used for shows, concerts and other public events. The stadium is close to Plaza Senayan and Senayan City malls. Across the road, is a driving range and of course, numerous luxurious hotels. 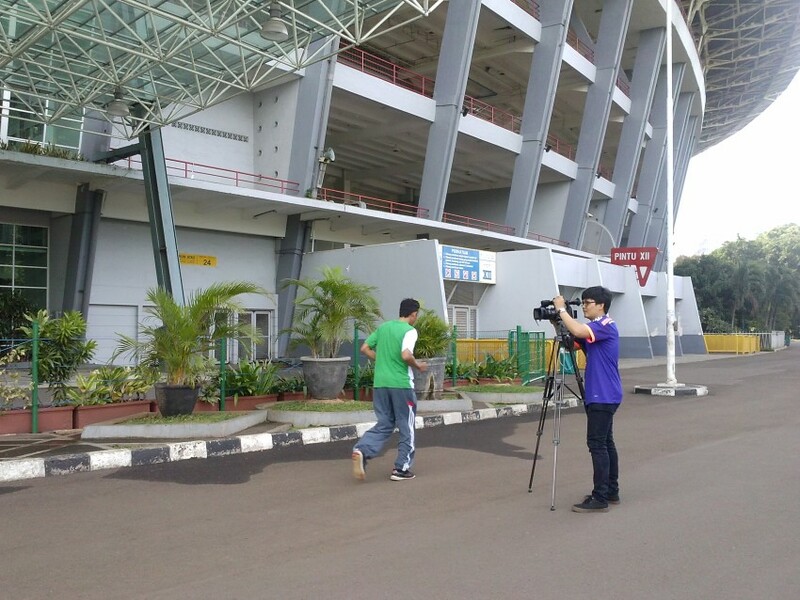 The Gelora Bung Karno Stadium is closed to the public, but the area around the stadium, however, provides Jakartans with a degree of green and empty space in which to exercise. There is a broad path on which joggers do their laps. On the morning I visited, I asked one runner how far he had run; he replied 21km.The footpaths of Jakarta are often narrow and a little holey; the roads are crowded and some drivers or motorcyclists drive (or ride) recklessly. 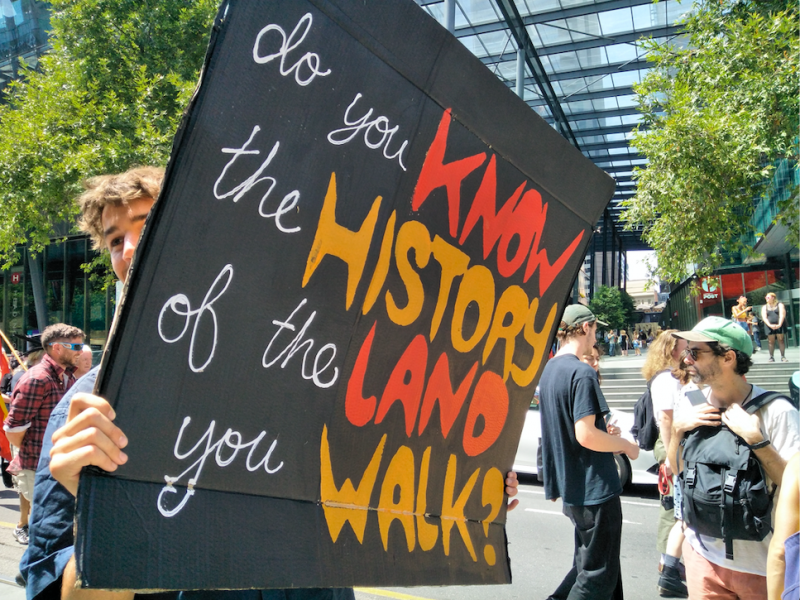 The space around GBK – as it is colloquially known – becomes a safe and attractive place for those looking for relative quiet and space in which to jog. The spaces around the stadium have a large number of trees. One of the streets next to the stadium is lined with flower and plant shops; adding to the greenery. The sun is already fierce from 7am onwards – forcing runners to run earlier and earlier. The slowness with which it takes to get around Jakarta, also limits opportunities for potential users to come to Gelora Bung Karno Stadium. There are also chin-up bars, which remain generally unused. There is some sturdy and rusty gym equipment. Some middle-aged men chat in between doing their leg exercises. A group of younger men and women do their boot-camp style routine of squats, push ups, sit ups, planks and other exercises. I first started using the swimming pool at Gelora Bung Karno in 2005. I would arrive just at opening time and have the Olympic size pool to myself. An abundance of water. At 6am in the morning, it was a beautiful place: only the distant sounds of the lone-motorbike, now and then, and occasionally the shouts of school children using the smaller neighboring pool. Sometimes, others would use the swimming pool and would swim width-wise, rather than length-wise. After all, there were no lane ropes. There would be the occasional collision to knock me out of my early-morning hour-long swim. I used the pool most regularly in the lead-up to going hiking in Lombok, to Mt.Rinjani. I would take an ojek (motorcycle taxi) from my kost (one-bedroom apartment, shared kitchen) and be picked up by the same driver (motorcyclist). On the way to GBK we would travel upwards of 60km, on the way home, little more than an average of 10-20km. President Joko Widodo has been a strong supporter of a city-based, sporting culture. He is one of the founders of the Jakarta Marathon, which is now in its third year. The strongest intervention into the urban environment of Jakarta, has been the partial closing of Jl.Sudirman and Jl.Thamrin to traffic on Sunday mornings. Car-free-day was first held in Jakarta in 2007, but, since 2012 it has been held ever Sunday. This is one means of giving the people of Jakarta an another alternative to Gelora Bung Karno as the main space for recreation. This stadium was built for the 1962 Asian Games: Japan came out on top by huge margin in the medal tally and Indonesia came second. Israeli and Taiwanese athletes had been denied visas, bringing to mind that Indonesian athletes had not been able to participate in the 1948 London Olympics. This is a vast and somewhat sterile stadium, inescapable from its nationalist history. It can’t be removed from the story of the engineer-president Sukarno using such huge infrastructure to show that ‘Indonesia is a great Asian nation’. The stadium becomes local through its appropriation by the Persija-Jakmania fans, who turn the stadium orange. The broad and relatively empty spaces outside the stadium, make it possible for the police and army to pacify any trouble-making fans. 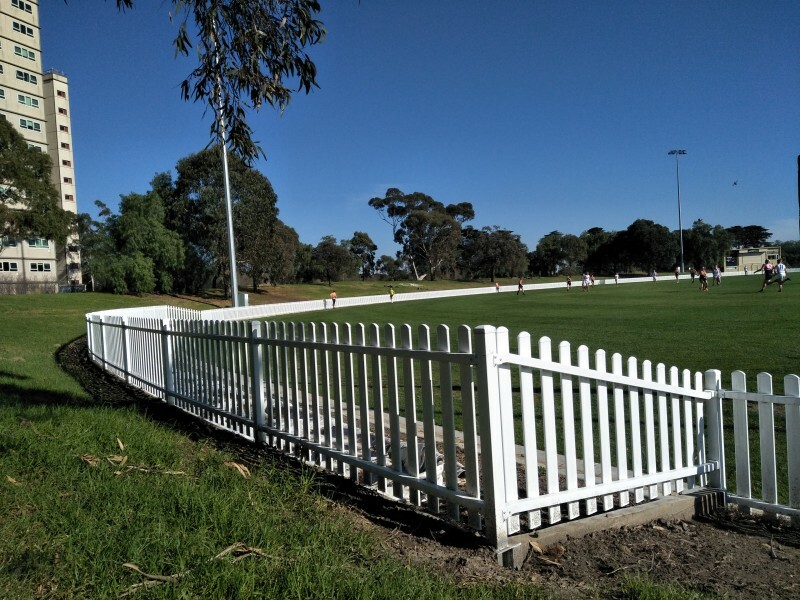 It is these spaces, though, that are turned into a place for early-morning recreation, socialising and the leisurely practice of sport.